I have been left astonished by the protests that rocked Hong Kong last week, especially the organization, kindness and ambition of the youthful protesters asking Beijing for the right to choose who runs their city. What was so impressive? Maybe it started with the trash. After days of protest, the students were still cleaning up after themselves. I saw them sort trash in the wee hours -- paper here, plastic there. "I can't believe they were tear-gassed and pepper-sprayed, and then they pick up the garbage the next day," a woman at the scene whispered to me. Young supporters handed out yellow ribbons, a symbol of solidarity. Students could be seen doing their homework in the middle of the night. Others offered biscuits to members of the same police force that days earlier deployed tear gas against the crowds. 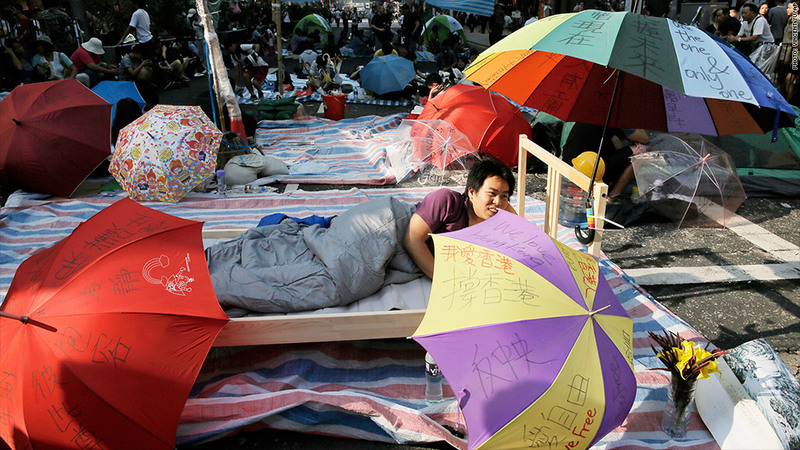 Some found a creative use for umbrellas, which became a symbol of the protests after they were used to defend against pepper spray. Protesters used them as decoration or makeshift tents. They came in handy when it rained, too. A few protesters zipped around on motorbikes making sure all protest areas were well-stocked with donated supplies. Nurses organized on Facebook, and staffed first aid tents at the three main protest sites. The students were quick to lend a hand, holding my camera and steadying me as I clambered over road barricades. One pressed a water bottle and cooling patch into my hands. "Take it, it's too hot out here," she said. "I have more." Signs were everywhere: First in Chinese, then English: "I love my home, I protect my city," "The next generation thanks you" and "Keep calm and open your umbrella." As the days went by, I lost count of the languages: Korean, Dutch, Greek, even Latin -- "Hong Kong firmamentum in democratia." Protesters chanted slogans: "Hong Kong, add oil!" and "689, step down!" As I wandered through the crowd, a pair of brothers, three and four years old, asked me why the police would hurt people. I wasn't sure what to say, so instead, I snapped a picture of them. They tried to pin a yellow ribbon on me, unable to understand why, as a journalist, I had to remain impartial and refuse their gift. Others told me their dreams of universal suffrage, a stronger social safety net, the chance to own a home, land an overseas job or start a business of their own. "This is a dark time for Hong Kong," a high school student said sadly. What do you want to do someday, I asked? His face split into a wide grin: "Open a cafe!" Protesters asked me to tell their stories. I spoke to as many as possible, from three years old to 63, scribbling their words down. 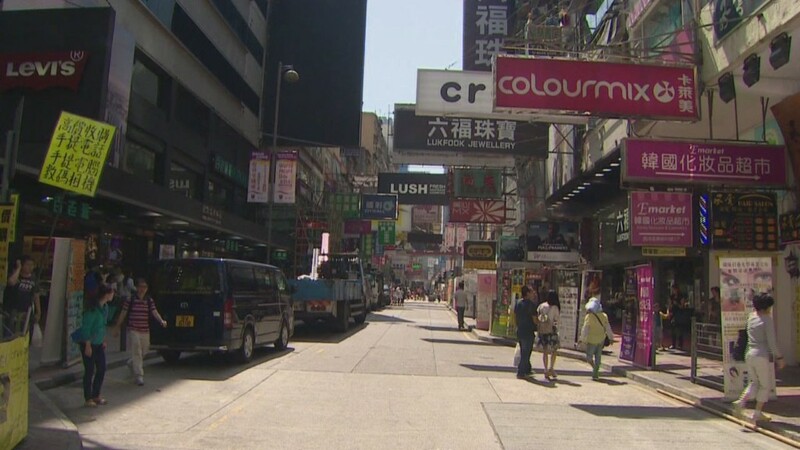 But as I wrote story after story, I couldn't help but wonder: What will Hong Kong be like in a few decades? What will life be like for these protesters? The symbols of China's power loom large. The People's Liberation Army building towers over the main protest site. Night after night, the building's shiny red star casts an eerie glow over the city's harbor. The protests have divided friends and families. Even my own Facebook wall has become a battleground of political discussion. As scuffles broke out and pressure on the protesters increased, my thoughts returned to their dreams. 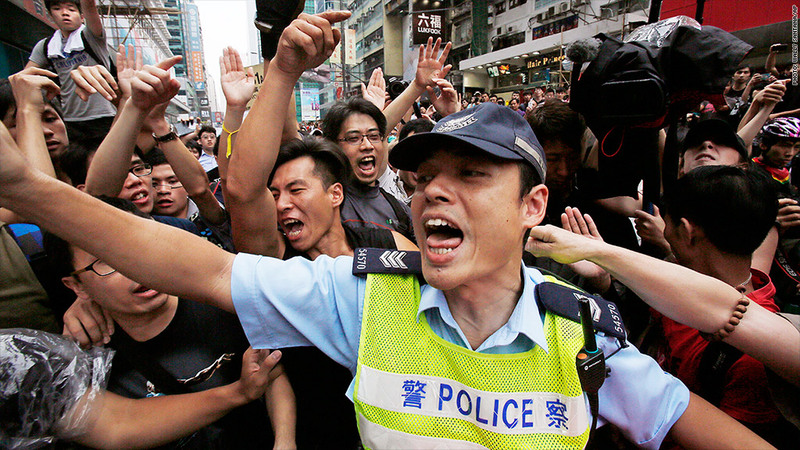 Will they succeed, or will Hong Kong bow to China's might?